Airline pilots are trained to be attentive when they’re on planes so that they will notice details that slip by most passengers. Some of these details have serious safety implications. For most of us, air travel is an opportunity to sleep, work, read, or watch a movie with fewer distractions than you’d find on the ground. But for airline pilots and aviation experts, the experience can be different. Pilots and experts are trained to be attentive on planes, so even when they don’t have to fly the plane and can sit in the main cabin, they will notice things that other passengers don’t. We interviewed two airline pilots and collected responses from a Quora thread to find out what pilots notice when they’re flying in the main cabin. Here’s what they said. Frosty Windows by Pete © 2017, Flickr, licensed under Creative Commons Attribution 2.0 License. Most passengers are likely to be concerned about turbulence, but according to Tanya Gatlin, a pilot and associate professor at Metropolitan State University of Denver, it’s not as bad as most think. “It’s not something that’s going to cause an accident or is even a factor to safety,” she said in a phone interview with Business Insider. Instead, Gatlin is worried about ice. 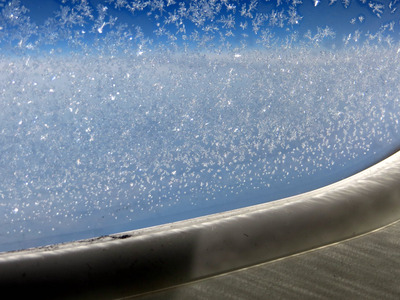 When necessary, ice and snow are removed from a plane before it takes off, and the plane is coated in materials that will prevent ice from building up while it’s in the air – for a limited amount of time. The difficulty can come when the plane turns down its engine while preparing to land. “We’re coming down in a very short amount of distance and there’s no way we can get down that fast without the power being at idle,” she said. This means the engines don’t generate as much heat as when they’re taking off, which increases the chance that ice will build up on the plane and make a smooth landing difficult. Scents can be one of the strongest indicators that something’s wrong on a plane, as they can quickly hint at problems with the engine or fuel-storage systems. 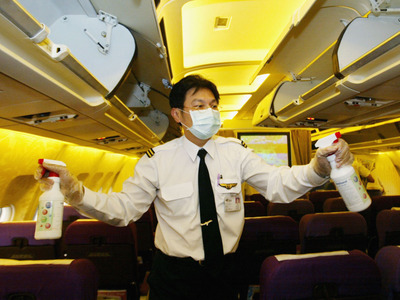 “Sounds are always useful, but a passenger cabin often is pretty isolated from any sounds that might be indicative of a problem.Smells, on the other hand, travel around quite freely, and some (e.g., fuel, hydraulic fluid, superheated bleed air) are pretty distinctive,” Tom Farrier, a former director of safety for the Air Transport Association, wrote on Quora. Experienced pilots know that a sudden change in the angle of the light that comes through a cabin window can be the first sign that the pilot is changing course. “An unexpected, significant shift in the angle of the Sun can be your first sign that a course change is being made,” Farrier wrote. Many air travellers don’t expect clear and timely explanations when their flight is delayed, but they should, according to Patrick Smith, a pilot and author of the air travel blog Ask the Pilot. “I get very frustrated when I’m on a plane and there’s a delay or the plane just seems to stop on a taxiway and sit there for 25 minutes for no reason, and nothing is said. Or something is said in such a vague way that it only makes people more frustrated,” he said in a phone interview with Business Insider. But it’s not that the reasons for delays are too complicated for passengers to understand. “It’s always something that everybody can understand if you just use the right language and are patient enough and timely enough with it,” Smith said. Pilots and flight attendants have precisely timed routines they use to get ready for landing. 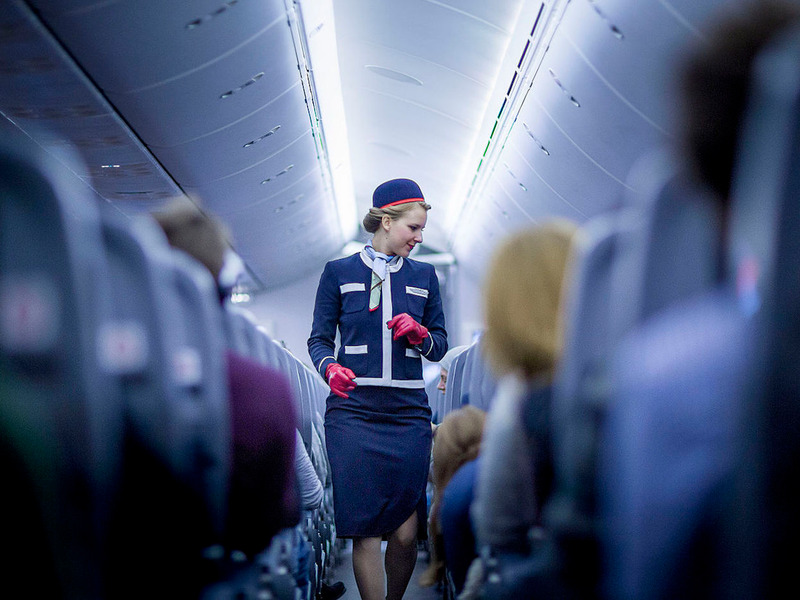 The announcements to put your seat and tray table in an upright position are familiar to most air travellers, but some pilots can predict the timing of this routine within a few seconds. Many passengers tune out during safety briefings, but pilots understand how important they can be. In the event of a crash landing, you might not have the time or ability to figure out where the exits are.